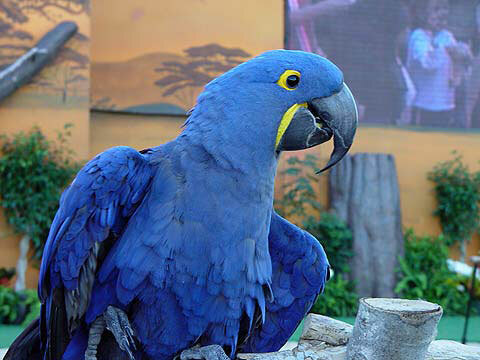 Welcome to the Blue Parrot Inn. We are located in the heart of historic Old Town, Key West. The Parrot. which was originally built in 1884, has been beautifully restored with the addition of modern comforts. We now offer 9 guest units, each of which is unique with its own distinctive decor. Each unit will give you its own special glimpse into the past of our very special island. Free on-street parking is available, off-street parking is available for $5 daily. The Blue Parrot embodies the history of Key West. Walter C. Maloney, who was a very prominent figure, built what is now the Blue Parrot as a private residence for one of his seven children. Walter was the mayor of Key West, a member of the state legislature, editor of the Key West Dispatch and was vice consul for Sweden. He is best remembered as the author of A Sketch of the History of Key West which he wrote in 1876. Blue Parrot Inn Key West Since 1884, the Parrot has survived the great fire of 1886 --- the reason behind all the tin roofs --- which destroyed much of Key West and several major hurricanes (not to mention the tourists since 1985). Thanks be to Walter as he had the house constructed with wooden pegs, much like a ship, which allows give in the face of strong winds. He rose to prominence, after all, in the height of Key West's glory days when fortunes were made from salvaging ship wrecks. Be assured, ships no longer wreck here and there has been no destructive hurricane since the very early 1900s. Blue Parrot Inn Key West Now that you know that you will be staying in an authentically historic Key West house, perhaps you would like more specific information about our current accommodations. Let us start by saying that we are not only a very quiet, relaxed and friendly house but also that we are very convenient to the beaches and all attractions. We are located just one house in from US 1 (Truman Ave.) and two blocks from famous Duval Street. You can have all of the fun and know that you will be coming home to clean and quiet comfort. If you prefer, you can spend your days with us lounging about or in our heated pool or getting a tan on our sundecks. However you choose to spend your day, you can start it off with your complimentary poolside breakfast. blue parrot inn pool photo Coffee, tea and juice are available every morning along with English muffins and bagels with all the fixings. In addition, you will always find fresh pastries brought in each morning from a local bakery. Eat to your heart's content. Speaking of gardens, we have some very beautiful ones. We have many varieties of palms, bromeliads, orchids and flowering vines. Something is always in bloom and some of those blooms smell heavenly. Chances are, if you are not from a tropical climate, you'll find many plants here that you would not have dreamed existed. Exotic is the word!